You may think of tiki masks as a charming way to add a tropical flair to your home’s décor, but these carved wooden masks actually have a long, rich history in Polynesian culture. Tiki masks are used for many purposes, from home and temple border protection to ancestor worship. We will briefly explore the history behind Tiki masks so that you have a better idea of the rich cultural traditions that stand behind one of your favorite home or outdoor decorations! Tiki masks are hand-carved wooden masks that, in their original intent, were used to stand in as front porge guards and protect users from evil spirits or even increase the mask wearers’ luck and ferility. These hand-carved pieces of art served many purposes, both in the privacy of people’s homes and in everyday life. Tiki masks were usually carved to take on the specific characteristic of a particular gods. The artist would shape their facial expressions to resemble that trait. 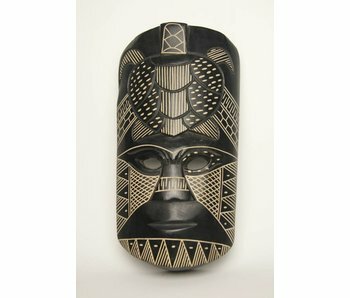 Tiki masks meant to infuse its wearer with strength would figure a large, strong man, while one meant to increase fertility could be carved to look like a fertile woman. Contrary to popular belief, not all tiki masks represented gods in the Polynesian and Hawaiian cultures. Not all masks represented gods but also served as a valuable form of folk art and artistic expression. Original Polynesian Tiki art spreaded through the South Pacific to the Melanesian part of Oceania. In Fiji carving was practiced by the men; carving would be used for items of practical use and simple shapes and design were used. A lot of effort was put into well adorned weapons and items for the home and ceremony, today carving is practiced for its use in tourism and no longer plays a major role in Fijian society and life except in the case of the Tanoa used from drinking Kava.